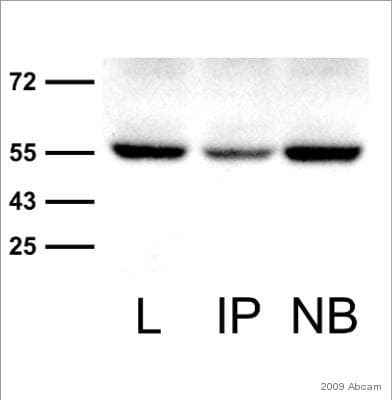 This antibody recognises all proteins which contain either an N or C-terminal HHHHHHGS epitope tag. It has been shown by a reviewer to recognise HHHHHH alone. Recombinant malaria protein TRAP fused at the amino-terminal end with six His tag. The coding sequence of TRAP 1.0 was amplified from P. falciparum genomic DNA (ITO4 isolate) in standard Polymerase Chain Reaction PCR (Saiki et al. 1988) using the primer combination trap 1 5'-AGTTGGATCCAGAGATGTGCAAAACA ATATAGTGG-3' and trap 2 5'-GCGAGTAAAGCTAAGCTTCCAGCTATTCCACCTGC-3', the amplified DNA sequence was cloned in the vector pDS56/RBSII,6xHis (Hochuli et al. 1988). This antibody was shown to recognize an epitope (HHHHHHGS) encoded by the polylinker of several expression vectors (including pDS:RBSII, pQE-30, and pQE-50). Our Abpromise guarantee covers the use of ab5000 in the following tested applications. 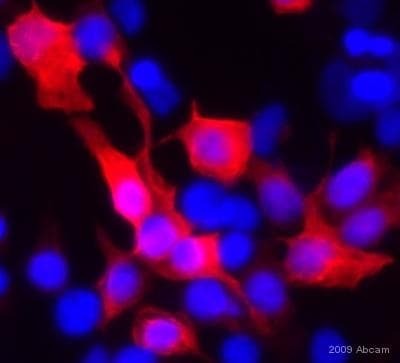 ab5000 staining Human HEK 293 cells transfected with CACNB3-His by ICC/IF. Cells were PFA fixed and permeabilized in 0.5% Triton X-100 prior to blocking in 5% serum for 20 minutes at 25°C. The primary antibody (1/250 in 1% goat serum, 0.1% TX100, 1X PBS) was incubated with the sample for 16 hours at 4°C. 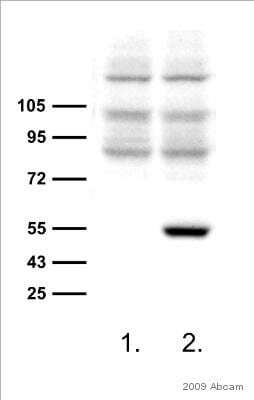 An Alexa Fluor® 546 conjugated goat anti-mouse antibody (1/500) was used as the secondary. DAPI was used for nuclei staining (blue). Inquiry: Hello, We are interested in the His Tag antibody for applications including ICC, WB, and IP primarily. Both of the products below seem to be used in this fashion and both have good reviews and are the same price. Could you please suggest or clarify the differences between them? We will have both C-term or N-term fusion proteins that we need to detect in cells. Products: ab18184 vs ab5000 Thank you! The main difference between ab18184 and ab5000 is the immunogen used to produce the antibodies. ab18184 was produced against a 6X His synthetic peptide, while ab5000 was raised against a recombinant protein fused to a 6X His tag. Thus, ab18184 was originally designed to detect HHHHHH alone while ab5000 was orginally designed to detect HHHHHHGS. 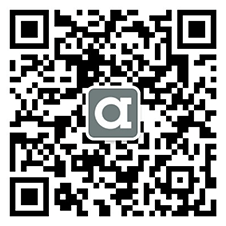 A reseacher tested ab5000 and submitted an abreview showing that it also recognizes the HHHHHH alone. specified that the antibody recognizes protein expressed in bacteria. in mammalian or eukariotic cells? or not? I can confirm that all four products, the ab5000, ab15149, ab18184 and ab81663 detect proteins, which contain either an N or C-terminal HHHHHHGS (6x) epitope tag. Important aspects for his tag recognition are, the localisation of the tag (N- or C-terminal) and the length of the his tag, that should be identical with the antibody chosen. Furthermore it is important to confirm that the tagged protein is expressed in transfected or transformed cells. If the recombinant protein is expressed, it should not make a difference for the detection if either a bacteria or a mammalian system was used. WB seeing one single band, however band is present in control samples with no His tag as well as tagged samples. Control samples do have glycine, can this be cross-reactivity from Glycine? I really wouldn't expect the antibody would cross-react with glycine, particularly as there is only a single glycine in the epitope tag. If it recognised a single glycine it'd cross react with nearly all untagged proteins as it's a very common amino acid. I can't think of any proteins that have an internal string of histidines but perhaps that is the problem? We have a protein with C- terminal PMAHHHHHH. This ab5000 is able to recognise it? This product recognise any 6-his tag? This antibody does indeed recognise the classical 6 x His tag HHHHHH, and therefore I would fully expect it to recognise your PMAHHHHHH motif. Our proteins are labled with the following tag: N-RGSHHHHHH-C Thus in the case of our lable a serine residue precedes the His sextet. The ab5000 epitope is presented as recognizing HHHHHHGS, thus regardless of whether the tag is C or N terminal, the His sextet is neighbored directly by Glycine instead of serine. I would appreciate verification that our epitope will be recognized by ab5000 before investing in this antibody. The immunogen of this antibody is recombinant malaria protein TRAP fused at the amino-terminal end with six his tag. It does recognize proteins which contain either an N or C-terminal HHHHHHGS epitope tag. Unfortunately, we do not know how neighbouring glycine would influence the binding of the antibody to the epitope. We are only able to guarentee the concentration of purified antibodies, and as this antibody is ascitic fluid it does not fall into that catagory.